The Hack42 Museum (Computermuseum Arnhem) and its hardware. Still work in progress, an awesome improvement compared to earlier setups, thanks to a lot of individuals and hackerspace dwellers who helped out, either donating machines, fixing them and/or making them presentable to the general public. 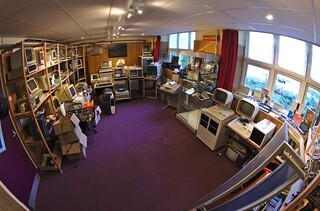 A major upgrade compared to when we first moved in and the previous hackerspace location.